This backpack is a time-proven classic and will never go out of fashion. Drag this home after that last final exam, it can take it! With a 4-6 ounce leather bottom, you will appreciate it's rugged good looks and function. 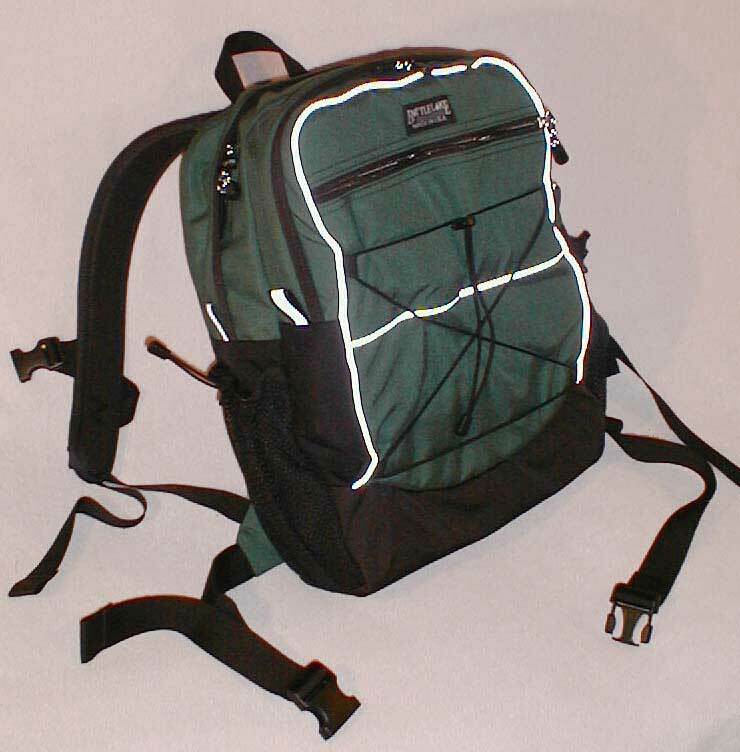 Even when stuffed full of textbooks, the 1/2" foam padded shoulder straps will be comfortable, and the haul loop will make it simple to toss it in the trunk for the weekend! 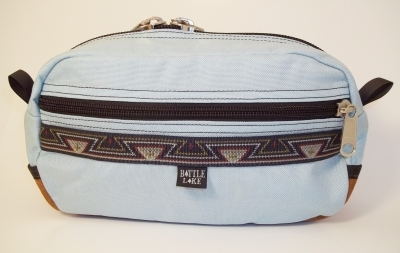 It also features a full-access, zippered main compartment, and a large zippered outside pocket with an interior organizer pocket. 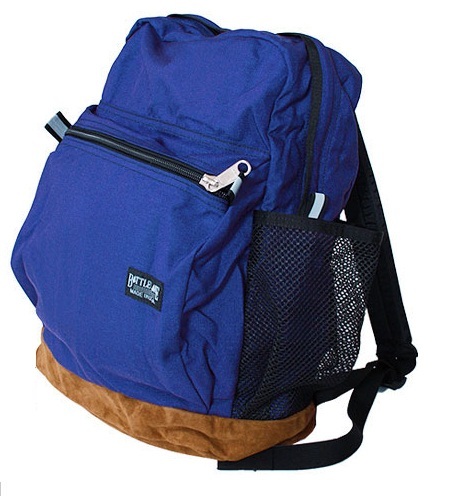 This pack will serve you through as many years of school as you can afford and long thereafter! 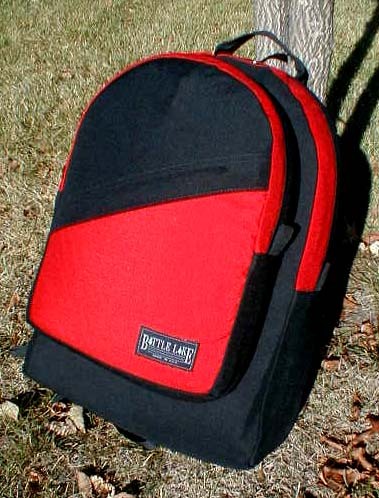 1/2" padded shoulder straps. Large front pocket with inner organizer pocket. Full access main zipper. Haul loop. 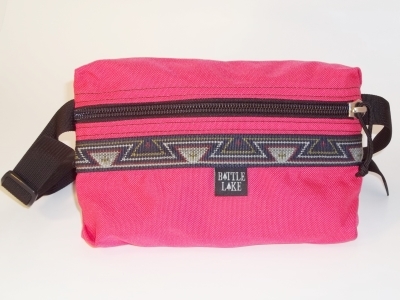 Mesh side pocket for water bottles, etc. Flat side pocket. Reflective zipper tabs. Rugged leather bottom. 4 to 6 oz. leather bottom and sides. 1000 Denier Cordura outer. 420 Denier Nylon Packcloth shoulder straps. ½” long-life EV-50 foam. Polyester Mesh side pocket. Taped and double stitched seams. Heavy duty #9 and #10 YKK Zippers. High-strength Duraflex hardware. Nylon webbing. Made in the USA of American materials. 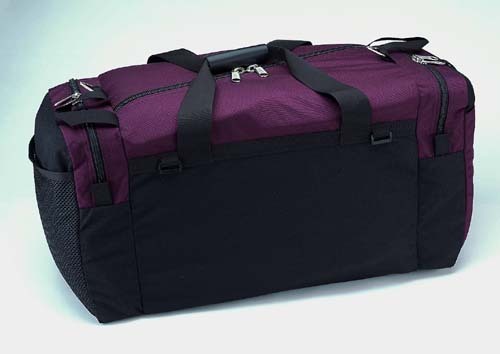 Main Compartment: Height - 17.5"; Depth - 5.5"; Width - 13.5"
Front Pocket: Height - 11"; Depth - 3"; Width - 13"